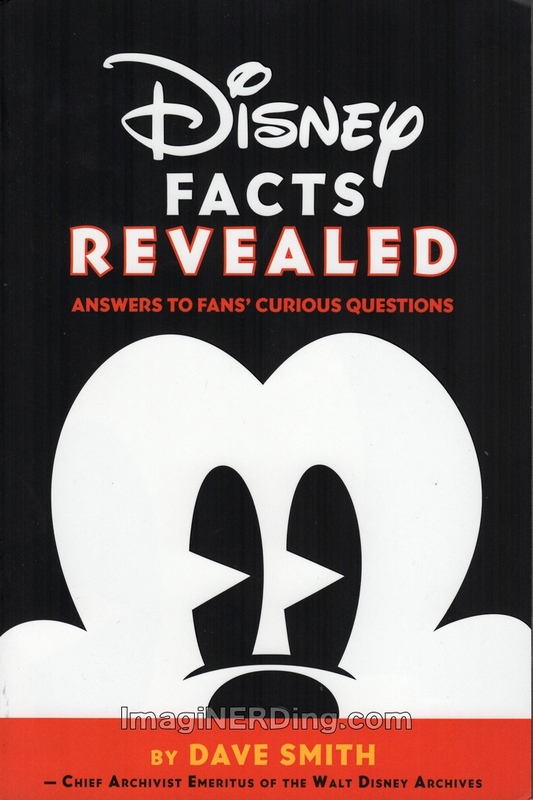 Disney has recently released Disney Facts Revealed: Answers to Fans’ Curious Questions by Dave Smith. Most cadets should be familiar with Dave Smith. He actually began the Disney Archives in 1970 and served as the Chief Archivist until his retirement in 2010. He is the Chief Archivist Emeritus, which means he holds the title as an honor. Dave is a very popular speaker at Disney and fan events. Sometime he offers the D23 tours of the Archives, himself. Dave is also the author of several must have books, like the series of Disney Encyclopedias and one of my favorites: Disney: the First 100 Years. 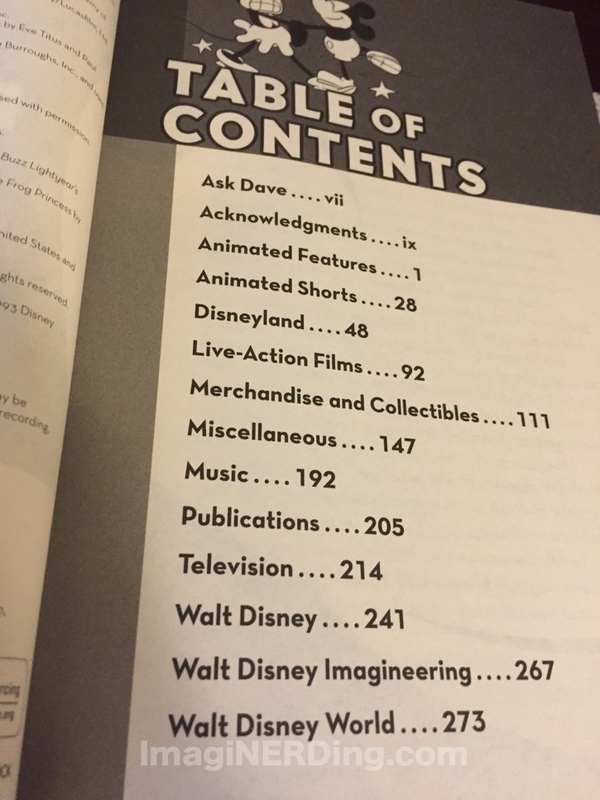 Dave has also been writing the Ask Dave columns that have appeared in several Disney magazines (like the Disney Channel magazine) and on the D23 website. The column first appeared in 1983 and Dave has been answering questions non-stop. This is Dave’s second book of “Ask Dave”. Disney Trivia from the Vault: Secrets Revealed and Questions Answered was released in 2012. This release covers more of the questions that have been featured on the D23 website over the past few years. This isn’t a book that you’re going to read cover-to-cover, although I did. It’s really meant for the Disney fan that wants to spend a few minutes reading up on different Disney trivia questions and learning a lot about the Disney Company in smaller, bite-sized chunks. That being said, it’s still fun to sit down and think about the questions before reading Dave’s responses. Sometimes you know the answer and sometimes, you might be surprised. It also shows how vastly different Disney fans are in their knowledge. There’s no index to the book and, frankly, it would be impossible. But Dave has broken the book into 12 major chapters. The chapters do vary in length (like the chapter on movies is much longer than the one for Disney Imagineers), but there are plenty of questions and answers to keep the Disney Nerd satisfied. Like the first title, Disney Facts Revealed has another 1,100 questions, or so. It’s amazing to think that Dave has answered this many questions and spent time hunting down the answers. Not only did Dave rely on his encyclopedic knowledge, but he reached out to other experts in the company, like Imagineers, producers, artists and other archivists. This really is a hard book to classify, but it’s one that most casual Disney fans are going to enjoy. Especially fans of Walt Disney World that might not be as familiar with the film or television aspects of the company. Have you read Disney Facts Revealed by Dave Smith?